*This has been an unusually lucky week. I'm so grateful! *Thanks to Media Masters Publicity and Harlequin! I can't tell you how excited I am for this one! *Thanks to Teen Book Scene! *Thanks to Goldberg McDuffie Communications and Hyperion! Love Gallagher Girls!! *Thanks to Goldberg McDuffie Communications! WOW. You had an awesome week of books. It looks like one hell of a haul. Come visit me as well. I've also recently gotten IMMORTAL RULES! It looks good. And I can't wait to read WONDERSTRUCK. Nice haul! The Immortal Rules was great, even better then The Iron Fey in my opinion! Wonderstruck looks great as well! Great haul! Hallowed is really awesome!! Oh, very nice! Really can't wait to read Hallowed, heard its even better than the first! I LOVE the Summer books. I wonder if you'll be team Conrad or Jeremiah. Well, regardless they'll tear your heart in half ;) Happy reading! I hope you have fun reading all your books ! The immortal rules has been receiving alot of attention lately, I need to check it out! I'm so worn out from hyperventilating over other people's copies of Immortal Rules, that I think I'll pass out if I do it again here. But the shock and pleasure and envy doesn't seem to fade away though. Gosh, I wish. Please enjoy it for the both of us! The Immortal Rules - sounds awesome! I am going to be counting down the days! 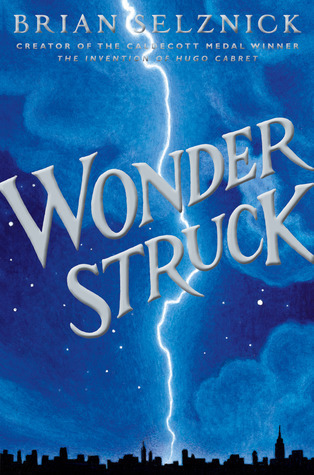 I loved Wonder Struck, and so did my son - Selznick is an amazing author! Fantastic haul! I loved Hallowed---such a great series so far. I'm hearing great things about Immortal Rules already! Enjoy! Woah! Fabulous IMM this week! I am so excited for The Immortal Rules I can hardly stand it! I can’t wait to hear your thoughts on it! I’ve also heard great things about Hallowed, so hope that is good too! Have a good week! Ooh Immortal Rules - nice! I can't wait to read that one. Awesome library stash too. jealous you have Ally Carters new book and I love the cover on Wonderstruck! I'm so jealous I would love to read the Julia Kagawa book, I hope you'll enjoy it! you got THE SUMMER I TURNED PRETTY. One of my fav. i really hope you love it. seriously. features one of the best love triangles i've come across! Oh you got Immortal Rules i'm so jealous !!! I can't wait to read this book ! I'm a huge fan of the Iron Feys series by Julie Kagawa so i'm sure i'm gonna love this one too ! I hope you'll like all these books ! Happy reading ! The Immortal Rules, nice! Can't wait to read it! I can't wait to get Out of Sight, Out of Time. Ally Carter will be speaking at a library conference I'm attending this week. The new Julie Kagawa book looks interesting too. I am sure it will be a big hit. Wonderstruck is really, really good. I mean, I really really loved it and the art inside it. Great book week!!! The Immortal Rules, I want it so bad! Omg! Omg! I'm freaking out by seeing that you have The Immortal Rules and Out Of Sight, Out Of Time. They are my most wanted book 2012! I'm looking forward to the reviews! Great Books this week! The Immortal Rules seems to be the must have this weeek. Can't wait to see what you think of it. I'm lusting after The Immortal Rules. You're super lucky to have gotten it! Some amazeballs books! (Okay, I've decided I don't like that word. I won't use it again.) The Immortal Rules looks so fab! And yay on your other acquisitions, too. Great Books! The Immortal Rules looks great! Adding to my TBR pile! The Summer I Turned Pretty immediately caught my attention! Awesome looking mailbox, happy reading! The Immortal Rules is epic - of course, since the awesome Julie Kagawa wrote is :-) Hope you are going to love it! Oh and Hallowed is so awesome, loved it so much! I borrowed Immortal Rules this week and I'm really excited about it :) I hope it's as awesome as the Iron Fey books! Yay for Hallowed and The Summer I Turned Pretty. Awesome mailbox. Happy Reading! I'm not jealous of Immortal Rules, oh no I am not! I'm glad to see library books in your stash. I all too often forget about the library and sometimes I need a poke in the ribs to remind me. Awesome haul! 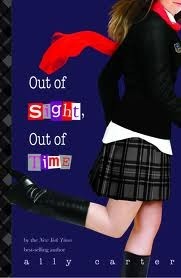 I can't wait to read your review of Out of Sight, Out of Time! <3 Ally Carter! She is great! Enjoy all your new books! I loved Hallowed. Great mailbox! I'm looking forward to reading The Immortal Rules, as I loved Julie's Iron Fey series! And Wonderstruck is supposed to be awesome! Hope you enjoy! OMG, so jealous of The Immortal Rules! 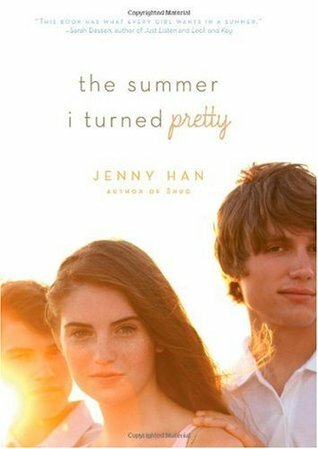 I also really need to read The Summer I Turned Pretty series. 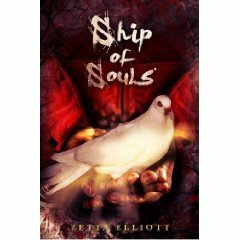 Hope you enjoy all of these, happy reading! I need to request Wonderstruck from the library soon...it looks amazing! I think my kids would love it too! Great haul! Thanks for stopping by my blog! You got some amazing books! I am so eager the read The Immortal Rules. I think I'll be adding The Summer of No Regrets to my reading list :) Awesome books this week!! Hi Alison! Thanks for commenting on my IMM. I am very excited to read the City of Thieves. It looks like you got some great swag as well! Wonder Struck looks really cool! Happy Reading! Great haul this week indeed! Immortal Rules! So jealous! ;-) I'm also really excited about Out of Sight, Out of Time. Hallowed was awesome and I almost read The Summer I Turned Pretty but it sounded like the love triangle from hell! I hate love triangles! lol Happy reading and thanks so much for visiting My IMM! I'm reading Hallowed soon! Unearthly was good! Immortal Rules? I'm so envious of you!! Enjoy your books! YAY for The Immortal Rules!!!!! Jealous!!!!! You had a fantastic book week, they all look great. I've been wanting to read The Summer I Turned Pretty for forever it seems! Enjoy :). Lots of interesting books this week. I haven't heard of many of them. Lol. I'm really jonesing for the next Gallagher girls book. I'm such a glutton for punishment too because lord knows I have so much to read! I do need more music (not really, but as a singer this is never a bad thing). I want Jessie J to come out with a new CD and I need the Goo Goo entire anthology along with Kate Voegele's newest venture. Not asking for much right? Looks like a great selection! I've heard lots of good things about The Summer I Turned Pretty, hope you enjoy them all! Great Haul, I haven't heard of most of those books. Oooh! Nice books you got this week! So interested in seeing what you think of Immortal Rules! Actually they all look awesome Alison - have a great week hun! Great stuff! Have fun! Thanks for stopping by. Lucky you! 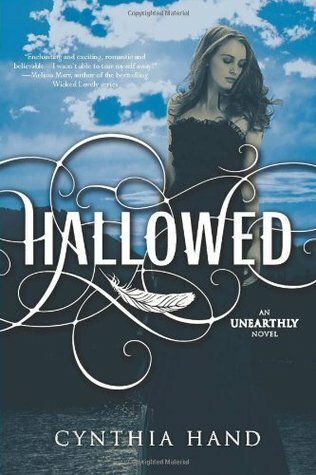 I want to get my hands on Immortals and Hallowed because I loved Unearthly very much! When I see someone has The Immortal Rules I squeal lol. I've been waiting a long time for this one to come out. Only a few more weeks left until it's in stores! Thanks for visiting my IMM. The Immortal Rules! I really enjoyed Kagawa's Iron Fey series and I'm really excited about starting that one -- you got so lucky this week! Hi! 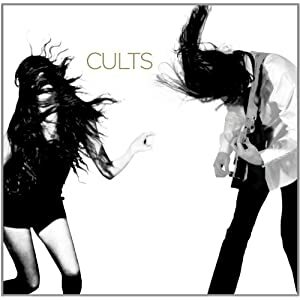 I love that you're posting music here, too! 'Wonderstruck' looks amazing - I just recently saw the film 'Hugo,' so I've been wanting to read some Brian Selznick novels. And thank you for the follow! You have a great blog (and you post manga!!! ), so I'm definitely following back via GFC! I am so jealous about The Immortal Rules. I loved her Iron Fey series, and the synopsis for TIR looks really good. Post-apocalypse and vampires...what's not to like. And I just finished Hallowed, which I loved. Although I must say it took a bit for me to get into it. Thanks for stopping by! YAY, great haul this week. Brian Selznick = <3 Happy Reading! I hadn't heard of The Summer of No Regrets but I've added it to my list. Thanks for the recommendation. 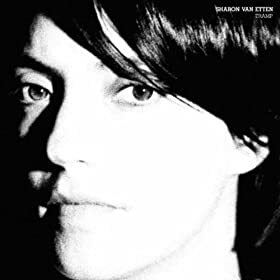 Great week of books, Alison! I haven't heard much yet about The Summer of No Regrets, so I'll be interested to see what you think of it. And your post has reminded me that I still need to read Hallowed! I didn't realize The Immortals was coming so soon. I got Immortal Rules and devoured it!! Happy Reading! Well you definitely have some books that are on my list as well! I spotted the Jennifer Han books last week and need to read those and I'm behind on the spy books by Ally Carter, I definitely need to catch up on those! Enjoy your books! I really want to read The Immortal Rules!! And I wish you so much fun with Hallowed and The Summer I Turned Pretty, both very good! Nice books! I loved the Immortal Rules! Can't wait to read your review! I'm glad to know that Hallowed is good, I loved the first book. The Immortal Rules will be showing up on my IMM this week, I got it yesterday. Super Excited. Thanks for stopping by and visiting my IMM. Great haul. That reminds me that I have an ARC of Wonderstruck that I still haven't gotten around to reading.